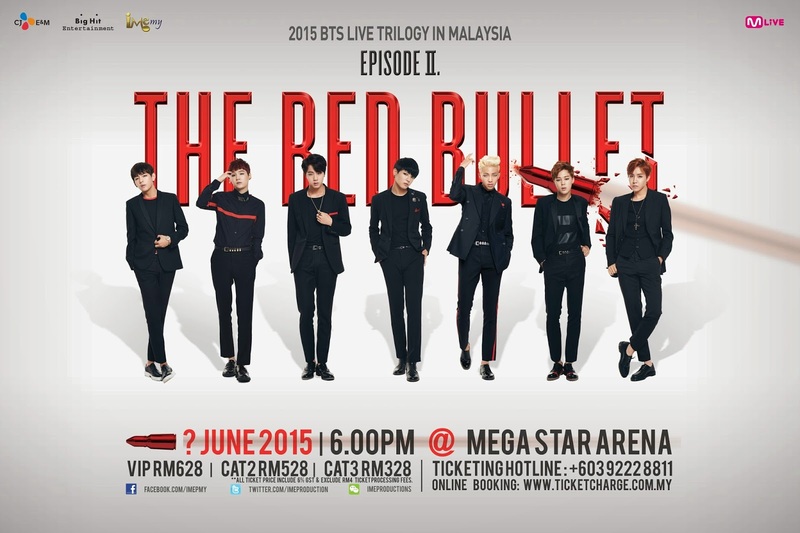 [TICKET] 2015 BTS LIVE TRILOGY IN MALAYSIA “EPISODE II. THE RED BULLET"
1. First 1000 ticket purchasers will get an exclusive giant concert poster based on first come first serve basis. 2. VIP ticket purchasers will be entitled to participate in a lucky draw to win an exclusive BTS “Hello Session passes”. See you at the the ticket launch venue!